Born in 1900 in Sondrio, Italy, Tomaso Buzzi graduated in architecture from the Politecnico di Milano in 1923, and trained with Gio Ponti. Before graduating, he had already associated himself with the Studio di Sant’Orsola group, which included Ponti, Michele Marelli and Emilio Lancia. The group shared Buzzi’s passionate interest in the revival of classical architecture and artistic craftsmanship, traits evident in the Novecento movement and in Milanese Deco. In 1927 Buzzi and Ponti, along with Marelli, Lancia, and Pietro Chiesa, established Il Labirinto, a production house dedicated to promoting modern decorative arts in the home, with an emphasis on comfort, taste, quality materials and original innovative design. Buzzi focused on creating furniture with clean, simple lines without pointless ornamentation, beautifully crafted and finished, and rich in historical references for the discerning eye. Buzzi’s drawings for 1928 issues of Domus Magazine show strong pieces with feather-pattern motifs, tables with reversed runcated pyramid bases, sofas and benches with carved backrests. That same year, Buzzi created furniture for the Bestetti-Tuminelli publishing house. 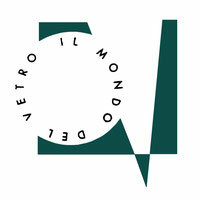 Together with Ponti, Buzzi was on the design team commissioned for the War Memorial in Milan, in 1929. The 1930s saw Buzzi’s last collaboration with Ponti, which was for the Villa Vittoria in Florence. Buzzi took on more industrial design projects, creating metal furnishings for Sambonet in Milan, and Christofle in France, as well as glass décor for Fontana Arte, under the design direction of Pietro Chiesa. He also collaborated with Mariano Fortuny, designed fabrics for Ravasi, and chandeliers and glass pieces for Venini. fixtures, and maintaining that association through the years. 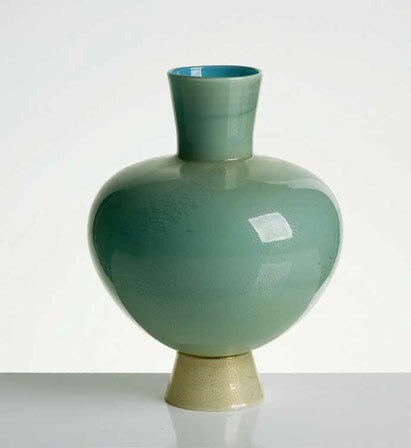 Upon discontinuing working with glass art, Buzzi returned to his other professional activities. In 1938 Buzzi decided to retreat from public life, largely owing to the onset of fascism. After World War II he returned to the public eye up until the 60's. Then he retired at The Scarzuola, the 13th-century convent that he had bought, and here he created his archive. He died in 1981 in Rapallo, Italy. Buzzi was, along with Ponti, one of the key players in the creativity, modernity, elegance and style typical of 20th-century Milanese culture. His works has been exhibited in several international gallery and museum exhibitions, including at The Wolfsonian of Florida International University.